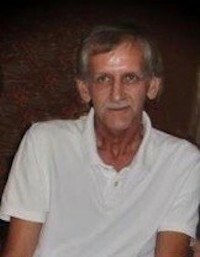 Ronald Dean “Ron” Osborne, age 59, of Pilgrim, KY, passed away Wednesday, July 25, 2018 at University of Kentucky Medical Center in Lexington, KY. He was born May 9, 1959 in Lovely, KY to the late Grover Osborne and Addie Moore Farley of Ulysses, KY. In addition to his mother, he is survived by 1 brother, John (Christina) Osborne of Courtland, NY and 2 sisters; Darlene (Freddie) Maynard of Ulysses, KY and Teresia (Jerry) Marcum of Culloden, WV. He is also survived by 5 nieces and nephews; J. J. Hale, Dustin Hale, Misty Barr, Hank Osborne and Ben Osborne and 7 great nieces and nephews; Bradley Hale, Madison Hale, Katelynn Hale, Dylan Hale, Kenna Hale, Colton Barr and Carly Barr. Funeral services will be held Saturday, July 28, 2018 at 2:00 PM in the chapel of Crum Funeral Home with burial to follow in the Osborne Family Cemetery, Pilgrim, KY. Friends may visit at the funeral home after 5 PM on Friday. Arrangements are under the direction of Crum Funeral Home of Inez, KY.